The next quarter century will challenge U.S. joint forces with threats and opportunities ranging from regular and irregular wars in remote lands, to relief and reconstruction in crisis zones, to sustained engagement in the global commons. It is impossible to predict precisely how challenges will emerge and what form they might take. Nevertheless, it is absolutely vital to try to frame the strategic and operational contexts of the future, in order to glimpse at the possible environments where political and military leaders will work and where they might deploy joint forces. Furthermore, the challenges of the future will resemble, in many ways, the challenges that American forces have faced over the past two centuries. War has been a principal driver of change over the course of history and there is no reason to believe that the future will differ in respect. 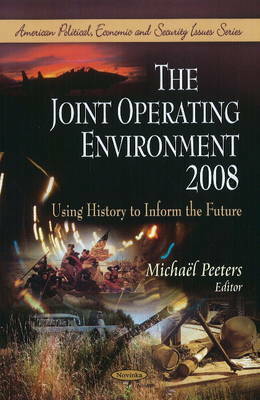 In contrast, changes in the strategic landscape, the introduction and employment of new technologies, and the adaptation and creativity of our adversaries will alter the character of joint operations a great deal. The authors of this book reason that only through reading the signposts of the times will the Joint Force have some of the answers to the challenges of the future. This book consists of public documents which have been located, gathered, combined, reformatted, and enhanced with a subject index, selectively edited and bound to provide easy access.